As a member of the CADS Software Solutions Division, you will be part of a growing company delivering superb analysis, design and detailing products for the engineering and construction industry. As a BIM Engineer, you will have a key role responsible for the specification, verification and support of CADS’ world-class BIM applications, whether for structural engineering, detailing, scaffolding or bespoke software. Working with the Product Managers, Product Analyst-Designers and Lead Engineers, you will have responsibility for the excellence of CADS’ BIM (Building Information Modelling) software. You will have a thorough, practical understanding of BIM processes, concepts, guidance and legislation, using this knowledge to inform CADS software development. You will have a thorough practical understanding of BIM software, whether used as a development platform at CADS (such as Revit) or not, understanding their relative strengths and weaknesses, and assisting the Product Managers in identifying where successful CADS applications can be developed. You will then use your detailed knowledge to work with the Product Analyst-Designers and Lead Engineers to write software specifications, review and test the software, and assist with the resolution of issues during development. You will also have a significant role in supporting customers in their use of the software, making your specialist knowledge available and assisting with second-line support. As a BIM Specialist you must be well-rounded, possess maturity, an eye for detail, and a thorough grounding in Building Information Modelling and civil and structural engineering. Keep abreast of BIM best practices and work with the Product Managers to incorporate them into CADS software. Understand BIM processes, published guidance, relevant legislation, adoption timelines and industry adoption case studies and how they relate to CADS. Gain thorough knowledge of existing CADS BIM software in order to maintain and extend it and also to ensure consistency of approach. Have practical expertise in BIM software, whether presently used at CADS or not, including Revit and (for example) Tekla Structures and Nemetschek AllPlan. Understand their relative strengths and weaknesses and assist the Product Managers with the selection of appropriate BIM platforms and the identification of gaps in their solutions that could be filled with CADS software. Have an appreciation of relevant competitor BIM software (for example structural engineering, detailing or scaffolding software built on Revit by other developers), understanding its strengths and weaknesses and using this knowledge in the development of CADS software. Work with the Product Analyst-Designer and Lead Engineer to write specifications for CADS applications that build on or interact with BIM software. 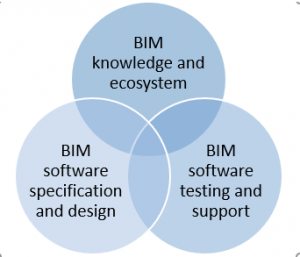 Have detailed, thorough knowledge of how to use each feature of the BIM platform and ensure this knowledge is shared with the development team, so that CADS software may be designed to work with the platform correctly. Have detailed, thorough knowledge of how to configure the BIM platform, for example to customise families in Revit, and use this knowledge to support the development team. Ensure the specified software will work in realistic situations, on realistic models, with a realistic range of user customisations (for example custom families) and considering the many varied ways that real users create models. Carefully review software builds, identify and resolve any issues with the Lead Engineer and log bugs. Assist the development team with the resolution of issues related to BIM and BIM software. Ensure the BIM aspects of the software are correct and complete before the software is released. Assist customers, the CADS Support Team and the Lead Engineer with the resolution of support issues that cannot be directly solved by the first-line Support Team, particularly those that require specialist knowledge of BIM, Revit and related CADS software. Assist the Lead Engineer with the product launch and its successful adoption by customers. Revit, Navis manager, AutoCAD is mandatory. Proven practical experience of 3 to 4 years in Building Information Modelling. Excellent communication skills (spoken and written) and interpersonal skills. She/he should have basic design knowledge of Electro Mechanical HVAC/Fire protection. She/he should be able to revalidate MEPF design. She/he should be to handle all material submittals and consultant approvals. She/he should be conversant in BIM /fabrication 3D modelling and clash co-ordination. She/he should well versed with modelling and 4D simulation software. Experience in coordinating international project with basic civil/structure knowledge. Knowledge of making workshop and as built drawings as per requirement. Expert on Revit LOD specifications (200-500). Bachelor’s degree in mechanical or electrical engineering (or) diploma in engineering from a well-reputed institution.